Almost a month of 2014 has come and gone and I have not broken a single New Years resolution. Of course, I should probably mention that I do not make resolutions. Back in 2009, I actually wrote about the Anti-Resolution Craze. To me resolutions set a lot of people up to fail. Personally, I tend to do better with goals. Making smaller goals that work toward a bigger ones help me to be successful and keep these items in check. This holds true for work items, as well as health and wellness. 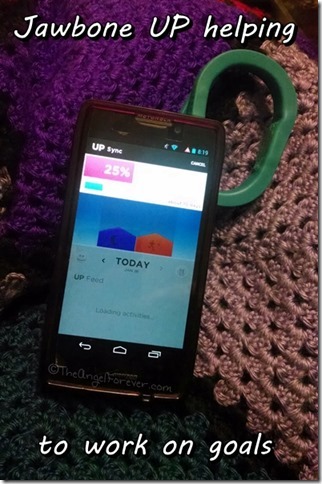 Last year as part of the Verizon Lifestyle Bloggers, I received a Jawbone UP. 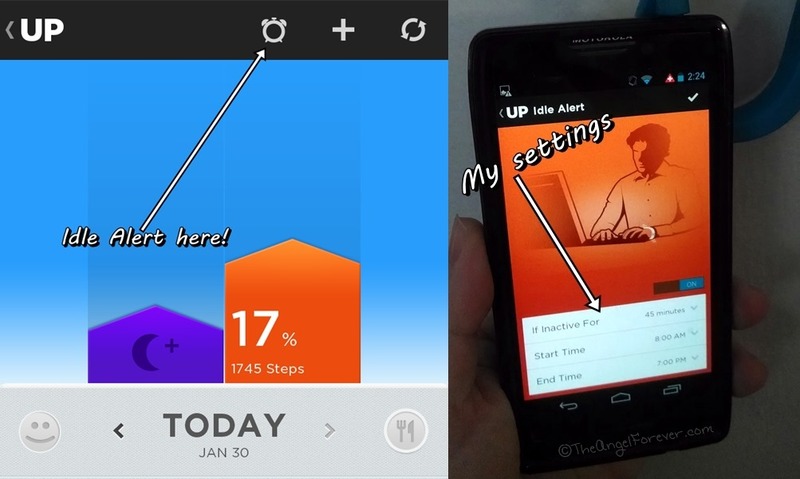 At the time, the UP helped me to realize that I needed some new sleep goals. 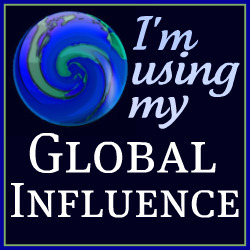 Moving forward, I want to use my UP as an even more powerful resource. I know it can track my steps and help me to get toward the 10,000 steps that I would love to meet each and every day. Of course, writing and crafting a lot means that I am often sitting for long periods of time. My new goal is to make sure I am not inactive at home for more than 45 minutes to an hour. I am able to set the UP to alert me with a buzz of my wrist so I can get myself moving. It could mean taking a quick walk outside (if it isn’t too cold), walking in place while watching the news, or popping in a workout DVD. I know I need to get more active and I am hoping my UP will help me to track this more. I now have set up one of the Alarms on my UP. Thanks to the UP Idle Alert it will now let me know if I have been sitting still for more than 45 minutes from 8 in the morning until 7 at night. So, we will see how this goes. I figure this is one step toward the process of healthier living. Then, I will work on adding the MyFitnessPal integration in. 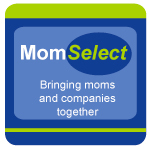 I know TechyDad loves that app and it can work with my UP, so I should try it out. So what technology tools and apps do you use to work toward health and fitness goals in your life? Disclosure: As a member of the Verizon Lifestyle Bloggers, I received an UP by Jawbone (link to information page). 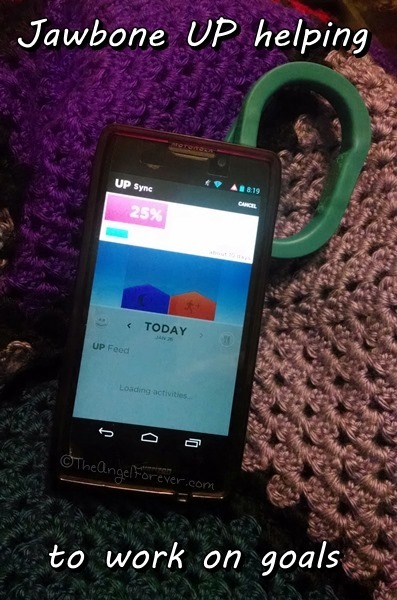 The UP allows me to track my activity, sleep, and other items with the app that go along with the device. In addition to this, I receive other devices from Verizon to use in my life. There was no other compensation. I am a long time Verizon customer, and all opinions are my own. I love this idea! I never heard of the Up, now I need to look into it.